It's been a wonderful first quarter, with a lot of activity to keep us busy. As a staff, we started the year by looking at our school data around attendance, student performance, student and parent feedback, and other items. Collectively, we have committed this year to building strong relationships with students, building trust across our school, and building a strong, positive school culture. We've continued this important with on our early release Wednesdays and other time for professional development. Our staff is learning to incorporate Collaborative Study Groups across all content areas; this will help facilitate student academic relationship and academic independence. Several of our teachers have committed time in the evening to be trained on Restorative Practice: Circles. This is a great tool that teachers use to build classroom community and helps students identify and articulate their thoughts and needs. We are engaging in work that will help our students be more successful emotionally and academically. This work could not happen without the early release Wednesday adoption. Yes, important work happened before the change, but it happened in fits and starts; it wasn’t a continuous and consistent dialogue sustained throughout the school year. This work would also not be possible without the support of our community; your support allows us time and resources to bring experts to our building and to send our teachers out to the experts. Finally, your support and input are needed at the district level. There will be several opportunities for you to get involved: curriculum review adoption, budget committees, boundary change committees, etc. Please watch for information and consider volunteering your time and perspective. Thank you Cedar Park parents! Your support of Cedar Park and our teachers is invaluable. Thank you so much. Every year students are considered for Talented and Gifted services in Beaverton School District. These services are provided by your child's classroom teacher(s). If you think your child might qualify, you may wish to complete the Parent Information Form that is available in our school’s office. Completing this form gives our school TAG committee more information about your child, but it is not required. All qualified students will be considered regardless of its completion. Oregon law and District policy define gifted students as those who score at or above the 97th percentile on a standardized, nationally normed test of mental ability and/or academic achievement. Behavioral, learning, and/or performance information is also considered before a student is identified for TAG services. The Parent Information Form must be completed and returned to our school’s TAG facilitator, Kelly McKay, or the school’s office no later than Friday, November 9th. Cada año se ofrecen servicios para alumnos identificados como talentosos y dotados por medio del programa TAG (Talented and Gifted por sus siglas en inglés) en el Distrito Escolar de Beaverton. Estos servicios son proporcionados por los maestros de la clase. Si Ud. piensa que su hijo(a) sobresale en el ámbito de la capacidad académica e intelectual, favor de llenar el formulario de información de padres disponible en la oficina de la escuela o en la página web del distrito. Por medio del formulario Ud. tendrá la oportunidad de proporcionar información importante acerca de su hijo(a), misma que será analizada por el comité de TAG. Todos los alumnos que califiquen serán considerados, independientemente del llenado del formulario. La ley de Oregon y la politica del Distrito definen como estudiantes talentosos y \dotados a todos aquellos alumnos cuyo puntaje esté arriba del 97 percentil en el examen de habilildad mental y logros academicos, mismo que es estandarizado y nacionalmente normado. El comportamiento académico, el aprendizaje y/o el desempeño son también considerados antes de identificar a un alumno para los servicios de TAG. La escuela Kelley McKay evaluará a los alumnos nominados por padres o maestros en el mes de Noviembre 9. This form must be turned in by November 9th. Students at Cedar Park have been taking action this year! They participated in a 5K! They have made pledges to put ‘Caring’ first at Cedar! And now, they can track the action they takes that serves the community. To log Service Hours, use this Google Form. This link can also be found on the MYP section of the Cedar Website. We are striving for 5,000 hours of service. Students will also have a chance to complete the form in advisory. The form can be completed every time students want to log their hours. The goal is for every student to complete 10 hours this year! Learner Profile Attribute for November: Thinker! 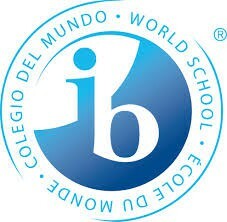 Students who can think critically about big ideas are better prepared for success in high school and college (ibo.org). A skill that students work on at Cedar in a variety of classes is the ability to make a claim and support it with evidence. -What other view-points do you need to consider? -What else do you need to learn to know more? -Who can help you learn more? We love parent volunteers! In fact, we depend on you to make field trips and other events happen. Wether it's making copies, supporting Art Lit, or carving pumpkins, we need parent volunteers all year. BUT - you have to go through a background check to even enter the building. It's easy to jump through the hoops - just click on the link below and complete the questions. We look forward to your input and support! Additionally, if you want to know what's going on at Cedar Park and how you can be involved, you need to frequently check the CPMS Volunteering Page. Teams are forming now for OBOB (Oregon Battle of the Books). Get sign up sheets in the library and return to Ms Hernandez by Thanksgiving, November 20, 2018. Battles will begin in January 2019. Happy Reading. The Beaverton community rallied in support of our 53 public schools by donating over $109,000 to the Beaverton Education Foundation (BEF) during our 20th annual Phone-a-thon. Thank you to all families who answered the call. Your donation impacts over 41,000 Beaverton students! 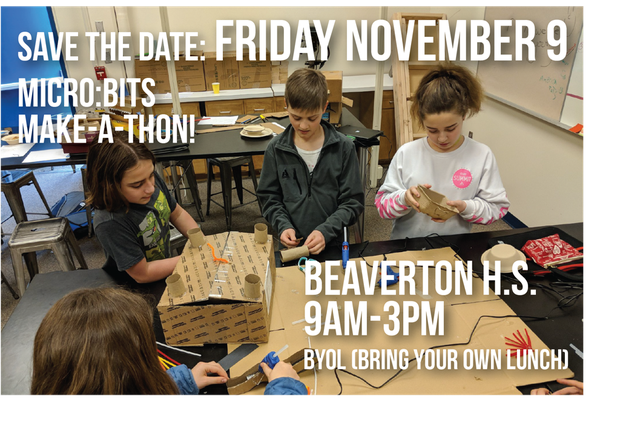 As the non-profit school foundation for Beaverton’s public schools, BEF enhances our students’ education by raising money to fund hands-on, innovative, academic enrichment and advancement programs and projects that otherwise would not be possible with normal school funding. BEF mobilizes community resources to fund innovative classroom, summer and after-school programs. Excellent work by over 350 high school student volunteer callers and to the top calling teams of each night: ACMA Dance West, Aloha Choir, Aloha Literary Magazine, Southridge Ski Team, and the Sunset Key Club. Each one of these teams were able to raise the most dollars on their respective calling nights. We are grateful to our generous community partners, Reser's Fine Foods and First Tech Federal Credit Union, for offering challenge grants to new donors and increased gifts. We are honored to offer this option and thank you for making this possible. 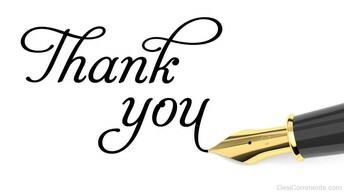 An additional thank-you goes to our hosts, Ruby Receptionists, who graciously opened their Beaverton offices to BEF volunteers during the five nights of Phone-a-thon, and to the Beaverton Valley Times/Pamplin Media Group, who kindly donated advertising space. Over twenty local businesses provided refreshments and incentives to our volunteers; thank you! We appreciate the support of our Beaverton community.